March 28, 2017  Micah White co-created Occupy Wall Street. Now he considers the worldwide movement a "constructive failure." In an NPR interview, the author of The End Of Protest says it's time for new tactics. 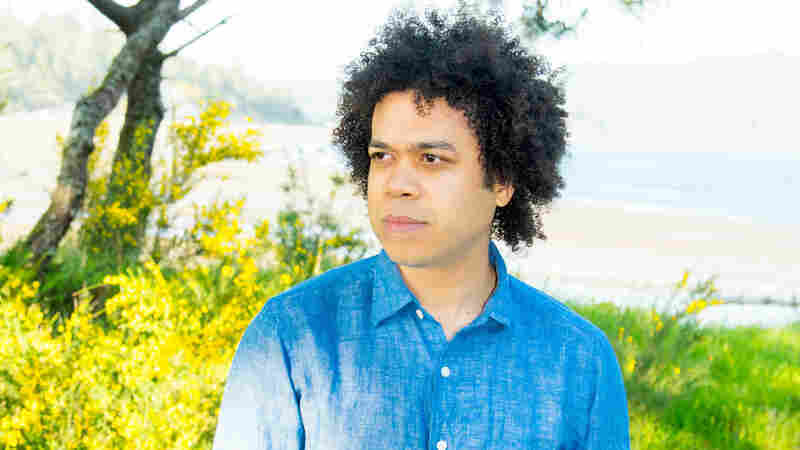 March 28, 2017  Micah White helped spark the Occupy Wall Street protests that spread worldwide. The activist and writer now says street protest is futile. Progressives, he says, should go rural and run for office. May 19, 2014  Cecily McMillan was convicted earlier this month of elbowing a police officer during her arrest at an OWS rally in March 2012. September 17, 2012  The one-year anniversary of the Occupy Wall Street movement brought rallies and arrests Monday, as protesters marched in New York and other cities. 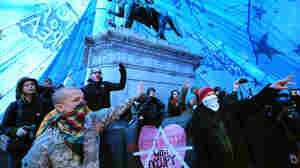 More than 100 arrests were reported in New York, where activists marched near the city's stock exchange. July 25, 2012  Law experts say the abuses by New York City Police have gone almost entirely unpunished. They calling for NYPD to take bold steps to address the problems. 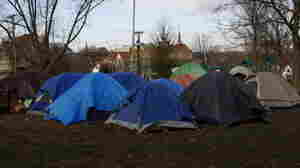 Has 'Occupy' Crashed Or Just Begun? 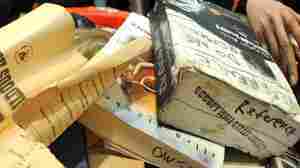 June 11, 2012  Adbusters.org ignited the Occupy Wall Street movement. Now it says the "first generation is succumbing to an insidious institutionalization and ossification that could be fatal to our young spiritual insurrection." It has a plan. May 16, 2012  The New York University student was accused of disorderly conduct, but the video showed him breaking no laws. In a twist, the student had actually been working on a project aimed at portraying police in a better light. 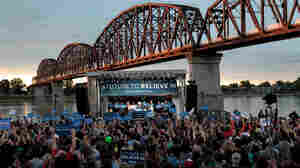 May 1, 2012  Protests are underway in both coasts, from New York to Los Angeles. 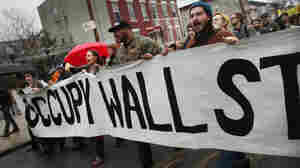 February 24, 2012  Occupy Wall Street says its General Assembly never approved the national convention and plans for it "blatantly contradict" the movement's autonomous principles. February 22, 2012  Some of the Occupy protesters who famously got face fulls of pepper spray last November on the campus of University of California Davis have taken their case against the school to federal court. February 4, 2012  Since the early a.m., U.S. Park Police have been moving into a park near the White House where the Occupy D.C. movement has been encamped for months. Some officers are on horseback and dressed in riot gear, but there haven't been any major clashes so far. 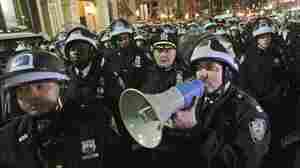 January 31, 2012  The protesters were girding for a confrontation with U.S. Park Police, but that hasn't happened. Instead, they erected a massive blue tent in the middle of downtown Washington. December 28, 2011  The rumor has been out there for weeks, and the state's voting laws suggest it could be possible: though only registered Republicans may participate, anyone can register for the party on caucus night and vote. 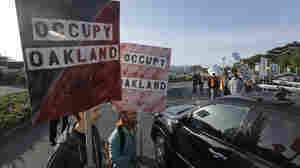 December 12, 2011  "Occupy" protesters on the West Coast moved Monday to disrupt ports in Los Angeles, San Francisco and elsewhere. The action fizzled in Los Angeles, but gained traction in Portland and Oakland. 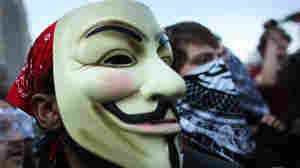 November 30, 2011  More than 200 protesters were arrested early today in Los Angeles. In Philadelphia, about 40 have been arrested so far. In both cities, police used overwhelming numbers to control the situation and few clashes or injuries have been reported. 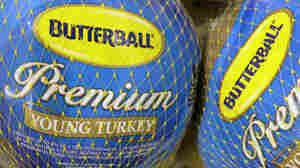 November 29, 2011  In the first hour of today's Talk of the Nation: What the strong start to the holiday shopping season may mean for the economy. Plus actor Alan Rickman discusses his career and new Broadway play. In today's second hour: Evolving police tactics and the Occupy movement. And tensions between NATO and Pakistan continue to rise. 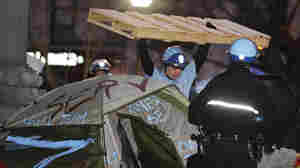 November 28, 2011  Authorities are looking to move protesters from the site outside city hall where they've been camped. November 23, 2011  The cost has come mainly from police overtime to monitor the protests and in some cases evict protesters. November 22, 2011  "I appreciate you guys making your point," the president told protesters in New Hampshire today. "Let me go ahead and make mine. I'll listen to you and you listen to me." 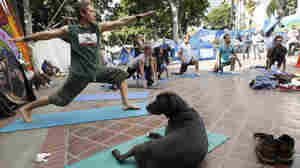 Occupy Updates: L.A. Offers Space, Marchers Arrive In D.C.
November 22, 2011  Authorities are hoping Occupy protesters in Los Angeles will accept their offer of basically free office space and farmland in exchange for leaving their camp near city hall. November 18, 2011  Occupy Big Food says it wants "to take our food back and out of the hands of just a few large corporations." A food politics expert says the group should focus on learning about the farm bill.